The two-day meeting of the board of directors of the American Association for the Treatment of Opioid Dependence (AATOD), which took place in December in Washington, DC, was an opportunity for opioid treatment programs (OTPs) to learn about plans and to share their concerns with regulators. Many policy topics were discussed, including the exemption process for the expanded responsibilities concerning midlevel practitioners in OTPs. The main regulatory authority from the Substance Abuse and Mental Health Services Administration (SAMHSA) was represented by Melinda M. Campopiano, MD, who is acting director of the Department of Pharmacologic Therapies at SAMHSA’s Center for Substance Abuse Treatment (CSAT). This is the post from which Robert Lubran retired at the end of 2015. Kana Enomoto, MA, acting director of SAMHSA, also met with the board the prior day to discuss a range of policy issues, including confidentiality regulations and expansion of access to treatment for opioid addiction. AATOD president Mark M. Parrino, MPA, spoke with AT Forum about the meeting—at which he asked some direct questions of federal officials. One major policy issue was the buprenorphine patient cap, currently 30 patients for the first year and 100 for subsequent years. The federal government will try to raise the cap, so that more patients can get buprenorphine treatment—at least, that’s the stated goal. A Federal Register notice about the exact proposal is expected soon. Richard Frank, PhD, Assistant Secretary for Planning and Evaluation (ASPE) of the Department of Health and Human Services (HHS), told the AATOD board he wouldn’t be able to go into detail about what the Federal Register notice would say. Dr. Frank has led the initiative on raising the cap ever since HHS Secretary Sylvia Burwell made it clear it was a priority for her. 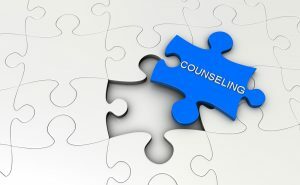 Who’s Doing Counseling and Testing? Evaluation—which has not been done well so far in the buprenorphine DATA 2000 or DATA 2003 system—will have to be a part of any raising of the cap, Dr. Frank said. In other words, exactly what the DATA 2000 physicians are doing—referring patients to counseling and running drug tests—is not known. The government is also trying to determine why so many waivered physicians are not treating the maximum number of patients allowed. So Mr. Parrino put the following question to the federal regulators at HHS and SAMHSA, and also to Michael Botticelli, director of the Office of National Drug Control Policy: If the federal government releases a Federal Register notice, and, for argument’s sake, let’s say it increases the cap to 200, and puts conditions on it, how will the federal authorities monitor compliance with the established conditions? Dr. Frank’s response was that HHS does need to “develop an evaluation mechanism,” said Mr. Parrino. Will DATA 2000 Practices Comply? Whatever the rule for DATA 2000 practices ends up being, the question is whether physicians will follow it, if compliance isn’t closely monitored. Mr. Parrino brought up the history of the first Treatment Improvement Protocol (TIP), written for CSAT by AATOD and ASAM members, and published in 1993. “Some people read it, liked it, and used it,” said Mr. Parrino. The government hopes that raising the patient cap will result in more patients being treated with buprenorphine. But the problem is that most doctors who can treat more patients—29,000 are waivered to treat 30, and 7,500 to treat 100—are not treating anywhere near that number. “What HHS has not done is figure out with any precision why so many doctors have decided not to treat the maximum number,” said Mr. Parrino. Some waivered doctors have zero patients. Some want to prescribe only for their current patients, and not open the practice to new patients. But nobody really knows if some physicians are intimidated by the Drug Enforcement Administration, or if some other dynamic exists. Having more OTPs would close the treatment gap. Mr. Parrino asked Dr. Frank at the board meeting if he really thought raising the cap would significantly close the treatment gap. Dr. Frank seems to believe buprenorphine patient numbers will increase as more providers become DATA 2000-waived. But it remains to be seen if the practices that are currently waived to treat 100 patients will see a marked influx of patients once new conditions, which may include drug-testing and counseling requirements, are established by the upcoming rulemaking. One obvious solution would be to allow doctors who want to treat more buprenorphine patients to open OTPs themselves. These could even be buprenorphine-only OTPs. Expanding the number of OTPs from 1,400 to 2,000 in a 36-month period would help close the treatment gap, but how would HHS make that happen? “If we have a huge crisis, why aren’t you devoting some time to this?” asked Mr. Parrino. Mr. Parrino also asked SAMHSA’s Ms. Enomoto whether the agency had ever sent notice to the DATA 2000 practices that they certify that they could file paperwork to run a buprenorphine-only OTP. He explained that if 5% of the 7,500 physicians who were certified to treat 100 patients agreed to open buprenorphine-based OTPs, many more patients would be treated. OTPs are required to provide an array of services that DATA 2000 practices do not provide. SAMHSA has approved a number of buprenorphine-only OTPs, and they have treated a greater number of patients. To better understand what it would cost to have an accreditation-like mechanism to monitor DATA 2000 practices under the new conditions, SAMHSA could get proposals from the existing accrediting entities. These entities already work under the aegis of the Accreditation Guidelines for OTPs. It is clear that federal authorities want to increase access to treatment for opioid addiction, fostering the use of all three federally approved medications. Unfortunately, many legislative and regulatory barriers are resurfacing, with regard to siting OTPs in communities. Also, the NIMBY Syndrome is coming to surface, as federal authorities press the needed agenda to increase access to treatment for opioid addiction. While public support to increase access to care has increased, based on a recent Legal Action Center report, the Not-In-My-Backyard reality is surfacing in a number of states and communities. In addition to working on expanding the OTP system, Mr. Parrino discussed three policy-wide papers for SAMHSA, setting out model blueprints for OTPs. The first paper focuses on integrating OTPs with behavioral health and general health care settings; the second, on integrating OTPs with drug courts, child protective services, and correctional facilities; and the third on medical homes in Maryland and Rhode Island, and on the hub-and-spoke system in Vermont. The policy-wide papers were written for SAMHSA, and AATOD will release them through its network. Mr. Parrino expects a release date for all papers in late March or early April.